Gluten flour, also called vital wheat gluten, is very popular for baking recipes. It is commonly used in pizza and bagel dough. The glutenin and gliadin, two long strand proteins that make up gluten, create elastic bonds when mixed together. This elasticity is essential to the forming and rising of dough, which makes it very popular for baking recipes. Vital wheat gluten can be ordered online or possibly found at health food stores. Vital wheat gluten in your basic bread recipes. 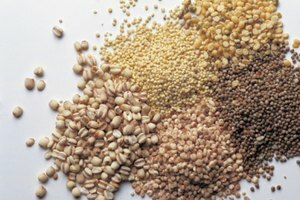 It works best in heavier recipes like whole wheat, rye, or other whole grain. Add one tablespoon of vital wheat gluten for every 1 cup of all purpose flour used in the recipe. Follow the rest of recipe as usual. 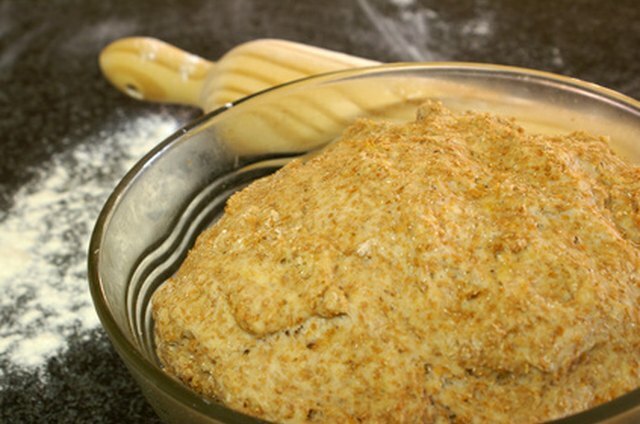 Mix together 1 to 2 teaspoons of vital wheat gluten for each cup of bread flour called for in the recipe. 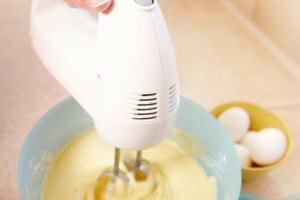 Once mixed thoroughly, continue following the recipe. Measure 1 1/2 to 3 teaspoons of vital wheat gluten to every 1 cup of whole wheat or rye flour. Follow the dough recipe as written. 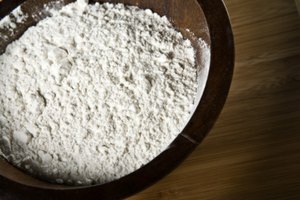 You may need to add more flour to your surface, but only a little at a time you do not want to have an unbalanced ratio of flour, yeast, salt and water.